Stay at the Orlando Metroplitian Express Hotel on International Drive includes free shuttles to all major attractions. Florida holidays in May 2016 are great for the half term, in fact most of May is quite popular. It seems to be the time that most parents fill like they are ready for a holiday. 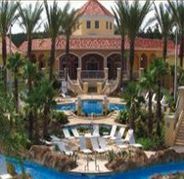 We have low deposit deals for all May 2016 Florida offers with balance due 12 weeks prior to departure. .
We offer packages to Florida in May on US Airways, United Airlines, American Airlines ,Delta Airlines with some of our best fares on Thomascook and Monarch. We have come up with three May 2016 package holidays that may suit your requirements for that perfect May half term getaway. Our first offer is a great value Thomascook holiday staying in the newly renovated Celebrations Suites. Which will include free shuttle to Disney parks flights direct from Manchester airport and including meals, seats and 20kg baggage allowance per person plus an economy 4 door car for 2 people. Our third package May 2016 holiday is a large family villa holiday (2 adults and 4 children) this holiday flying with British Airways from Gatwick and staying in a 4 bedroom townhouse in Regal Palms Resort with its slides and swimming pools plus bar area. Great locations for all theme parks and attractions. price will alos include an 8 seater minivan. Stay in a deluxe studio which is within walking distance or a short boat ride away from the entertainment, shops and dining of the Downtown Disney area. With 3 outdoor swimming pools and a fitness center, plus within close proximity of old town and many restaurants and bars. Which include an outdoor pool and spa service, 2 restaurants games room and business center, rooms are fully fitted with kitchen facilities plus internet access is available on request.